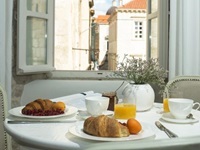 Among Dubrovnik hotels there are several boutique hotels with ideal intimate atmosphere and excellent service. The newest addition to hotel offer is St Joseph's Hotel located in the quiet street in the Old Town. This hotel offers accommodation in luxury rooms only short walk from central street Stradun and numerous historical sights. There is also a range of great restaurants withing city walls. The Pucic Palace Hotel is located on Gundulic square in Old Town. 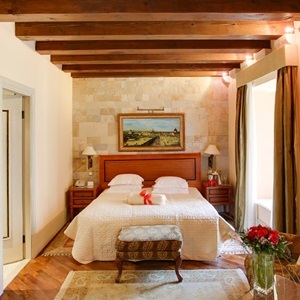 Each of the 19 rooms is named after a famous Croatian poet, musician or artist. In the bathrooms you will find Bulgari toiletries. 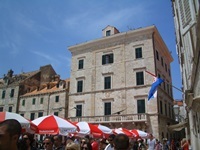 The Pucic Palace is comfortably modern and yet conveniently located on the doorstep of Dubrovnik's tremendous history. Villa Dubrovnik is a new hotel located in Sveti Jakov, south of the Old Town. It has unique location on the rock above the sea which offers to guests opportunity to enjoy amazing views over the city walls and nearby island of Lokrum. Villa Dubrovnik offers guests a complete range of high-quality services and facilities, including a private beach, wellness and fitness centres, indoor pool, sun terrace, as well as saunas, Turkish bath, jacuzzis and water sports facilities. The hotel has a restaurant and two bars with terraces and sea views, as well as a tranquil library lounge and garden. Hotel's 56 rooms and suites offer the highest level of luxury and comfort. All of the hotel's air-conditioned and soundproofed rooms feature sea views, flat-screen TVs, Wi-Fi, safes and private bathrooms with hairdryers and free toiletries. The exlusive Hotel Kazbek is located in the castle of an ancient Croatian noble family. It is located just three kilometres from Old Town, on Lapad peninsula. This hotel sits opposite cruise and ferry port. With a pool, sauna, one indoor and two outdoor restaurants, two bars and a conference room, Hotel Kazbek offers everything necessary for the perfect stay within its ancient walls. Hotel Kazbek has just 13 rooms available as a suite, deluxe or double room. All the rooms are spacious and elegant, decorated in a classic chic style with antique furniture. 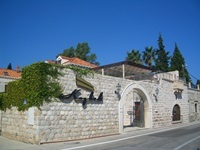 Boutique Hotel More is located on Lapad peninsula, some 3 km from historic Old Town. Great location in the natural surrounding just on the sea front makes it ideal for relaxes summer holiday for couples or families. Right beneath Hotel More you will find private beach area equipped with sun beds and parasols. Right on the beach, located in a natural cave split into three levels beneath the hotel, you will find unique Cave Bar More. This bar features a spectacular setting where you can relax with a wide choice of drinks and snacks. Hotel's rooms and suites are large, comfortable and offer true luxury during your stay. Restaurant "More" serves traditional Mediterranean and international cuisine, as well as a large selection of wines that can be enjoyed on large panoramic terrace.